Food, the business that we are passionate about! We are specialized in the development and manufacturing of products created specifically for the needs of professional kitchens throughout the country. Our know-how, combined with our many years of experience, makes Berthelet an excellent option to help determine your specific needs and carry out your projects. Our products, all made in Canada, combine added value, easy to prepare, quality, consistency, and above all, absolutely no compromise on taste. 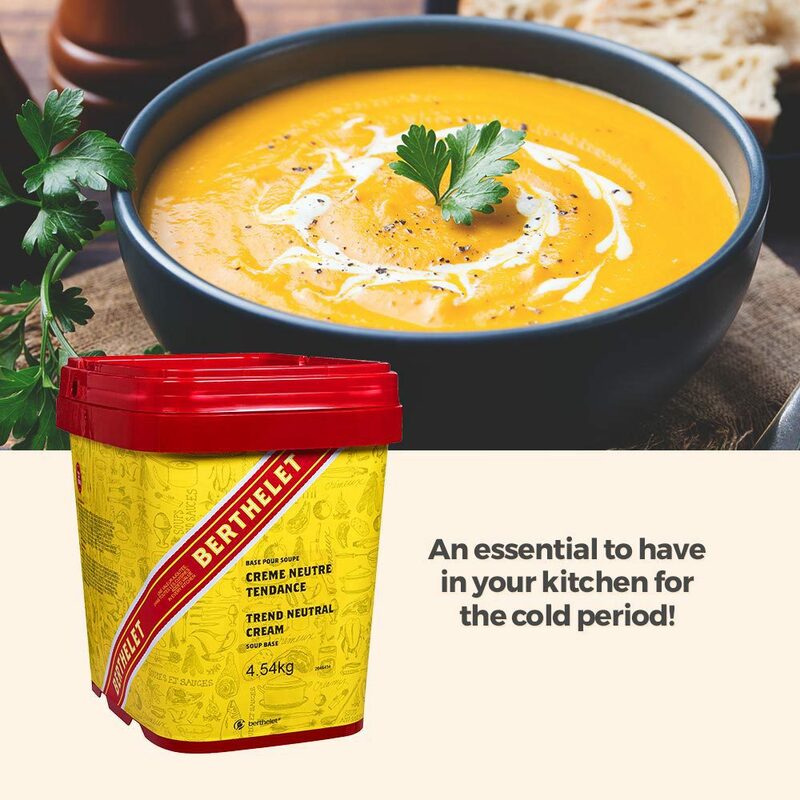 Berthelet Food Products offers traditional and innovative products that correspond to trends and the needs of consumers. Our products are available throughout Canada and used in many sectors of activity. Berthelet is constantly on the lookout for the newest trends. We strive to offer the best that is available on the market. Our R&D team, in collaboration with our executive chief, work together to develop innovative products. Your clients want quality first, but above all, they want great taste. A taste that is constant and safe. This is what we promise. To stay up to date, we collaborate with the best ingredient suppliers in the world in order to offer the very best products. Our state of the art equipment allows us to make products with added value and/or require certain considerations. The biggest kitchens deserve the best solutions. 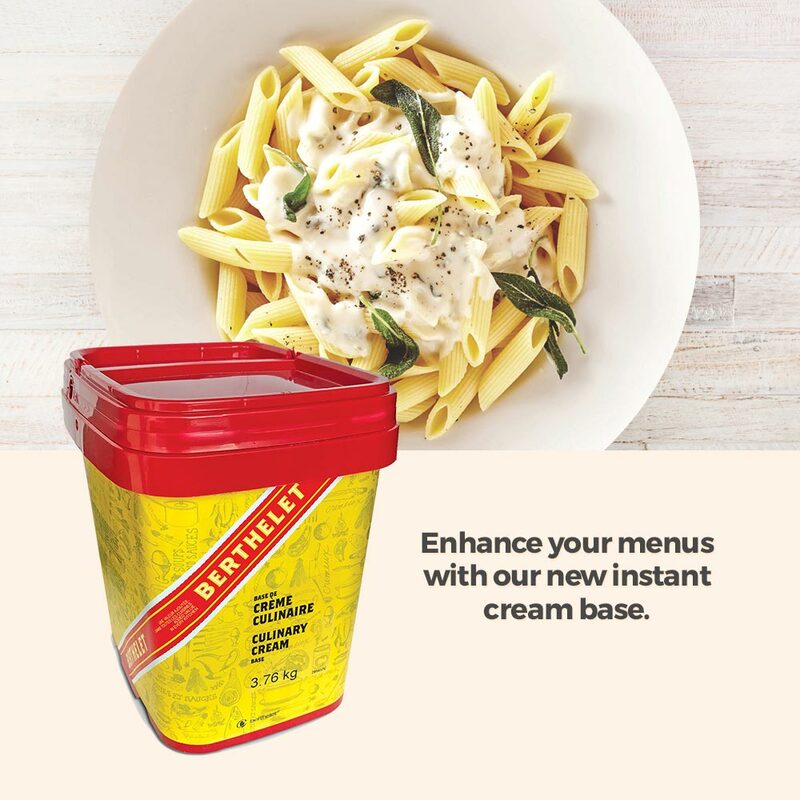 No matter your specific activity sectors, Berthelet continues to elevate your recipes and results! Using our expertise in development, we will work in close collaboration with you to create products and mixes adapted to your specific needs. You need a particular format or special packaging? We have the tools to deliver products that are in accordance with your requirements, and in the format that you prefer. 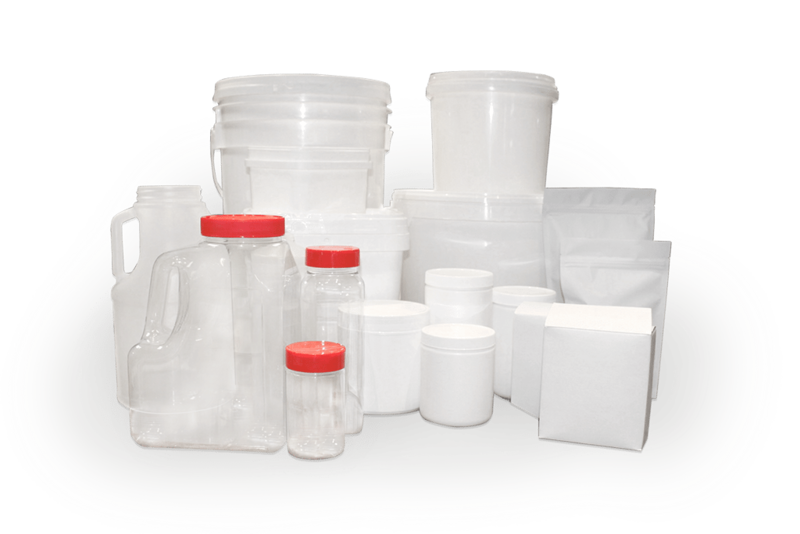 We offer personalized packaging as needed, from 300 g packets to 22.2 kg containers. and you have a specific need? Allow us to advise you.